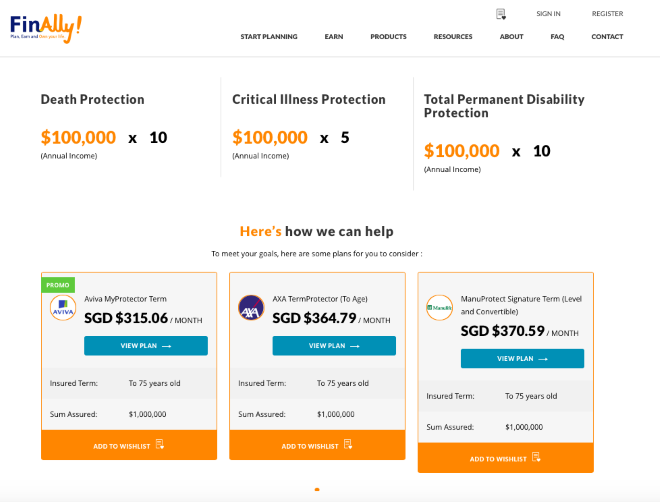 FinAlly, a financial planning platform, recently launched in Singapore. The platform provides a series of user-centric tools, anchored around providing personalised recommendations based on needs and budgets. 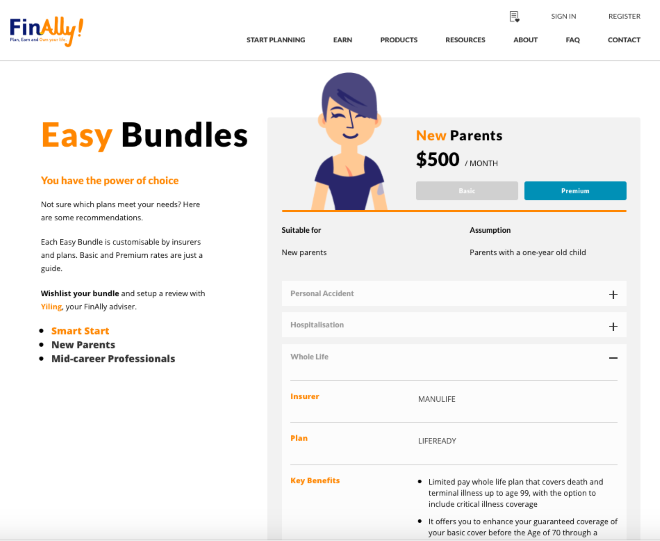 The platform helps customers with Easy Bundles and Personalised Calculators. 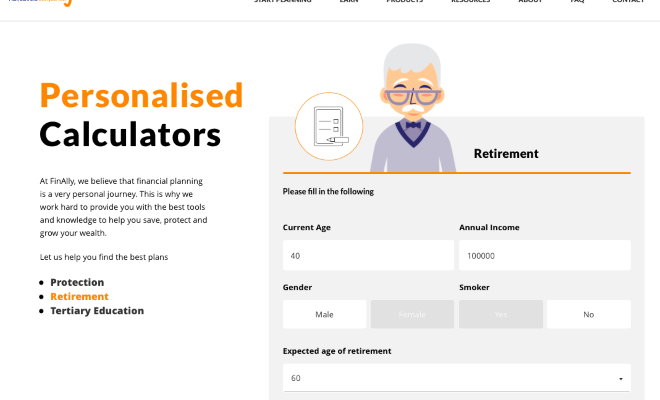 Together, these tools are able to offer easy-to-understand financial plans or personalised ones that meet an individual user’s specific needs. 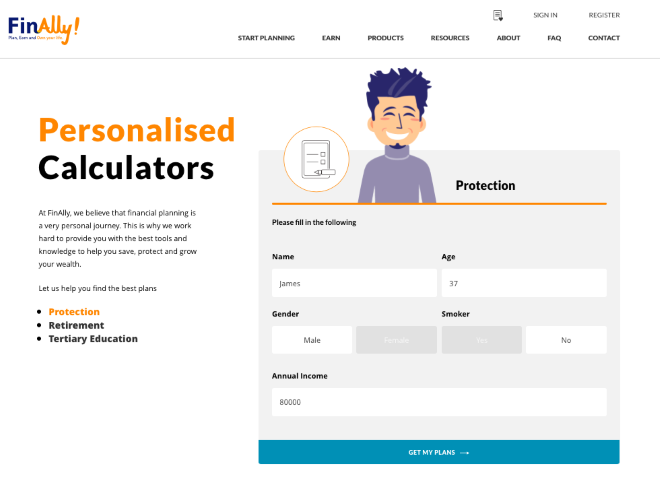 At launch, there are three options to choose from the Personalised Calculator tool – Protection, Tertiary Education and Retirement. Users key in certain details into the online tool, and are offered solutions that range from insurance plans to discretionary investment funds. Once the plans are selected, a human touch happens in the form of a FinAlly financial advisor, who will help to complete the financial planning process. FinAlly helps to save time on both customer and financial advisor, and transfers the savings to the customer. 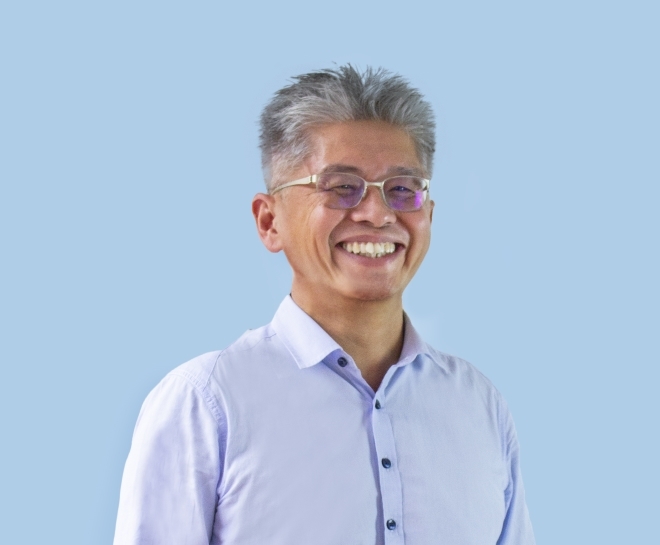 The Active Age spoke with Mr Kang Beng Hui, CEO at RAF Holdings, the company that owns FinAlly, about challenges associated with the traditional method of financial planning. consumers. Based on research from more than 120 customer interviews, more than 90% of the customers desire a tool that provides unbiased financial recommendations suited to their needs which may currently be lacking in the market. More than 75% of users surveyed find it difficult to compare suitability of products as they are unsure of relevant alternatives in the market. 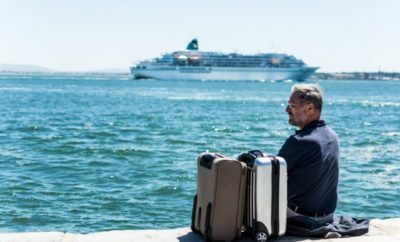 AA: How does FinAlly fits into consumers’ lives and empower them to make informed financial decisions? KBH: At FinAlly, we believe that achieving your future aspirations starts with a simple action of knowing your essential financial basics and cultivating good habits. Financial health is like physical health; besides consulting an expert, it is important to be proactive about self-care and having a regime suited to your current situation and future goals. FinAlly financial planning tools are modelled on decades of experience and market data. These financial planning tools are designed to give customers the most cost-effective / highest-yielding recommendations. Based on customer interviews, more than 75% of the customers are willing to do their own planning online if there are incentives involved. 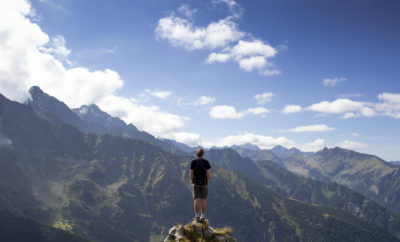 With FinAlly, the client prospecting process for planners is shortened. As such, FinAlly is able to pass most of the cost savings to clients and it comes in the form of rebates on premiums. This is to incentivise users to know essential finance basics as they get to save on premium outlay. This helps to improve financial literacy in consumers.